Check out Part 1 of our Training Stock Dogs series! So, you have gone and purchased a well-bred pup from a reputable breeder for what at the time seems like far too much money. Believe me; it will pay off in the end. Providing you don’t mess things up in the meantime. Serious training won’t start until the pup is about 8 months to 1 year old, but its raising and treatment until this time is very important. I think the time between weaning (6–7 weeks) and about six months is the most influential in developing a dog’s nature and personality. In my opinion, this period is the most important time in a dog’s life, but it’s the time when most people fail to do the proper things. Now you can’t do much with a pup at that age, but what you can do will have an impact on it for the rest of its life. and not expect them to find trouble to get into. The pup too, if not controlled will find trouble. 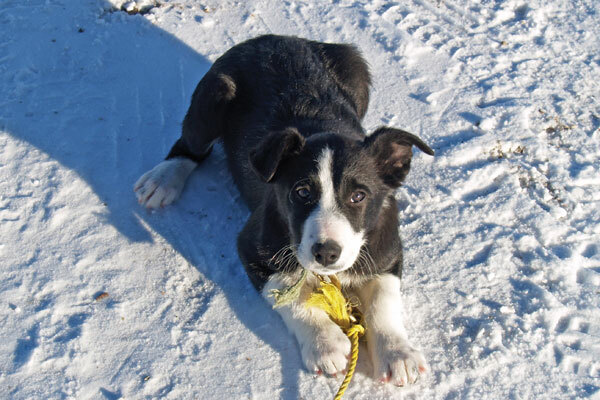 Border Collie pups, or any pup for that matter, have a lot of energy and they must be allowed to burn it off, but at the same time be controlled. The instinct that makes him want to work is bred into a Border Collie and when this instinct “hits” him, he can’t help himself. He will want to work anything that moves, be it cows, sheep, horses, cars or birds in the trees. At least most of the good ones will. This change in attitude can happen gradually between the age of 4 –12 months or can happen literally overnight. 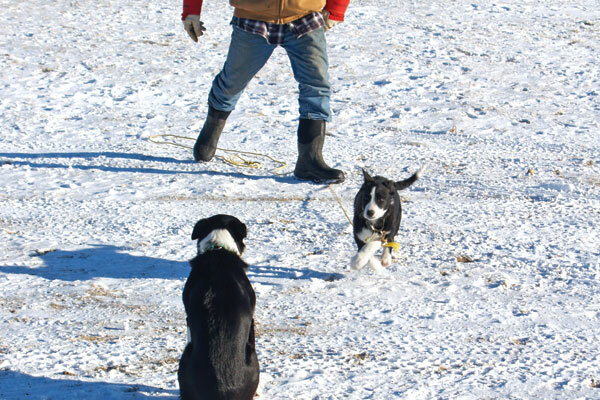 Even though the pup may want to work at 4 or 5 months, it is better to wait until the pup is big enough physically to keep up with or get around the stock. If the pup can’t outrun the stock, many bad habits can result such as running wildly, getting too excited, chasing and barking. Also, a few extra months in the life of a pup is a long time and it will be much more mature mentally and not so apt to lose confidence through a knock from a ewe or a cow, or correction from the trainer. From the time a pup is weaned he should not be allowed to run free all the time, but be taken with you to follow you around whenever possible. Once he “shows eye” and wants to work, he must be confined when you don’t have time to look after him. If not, he will surely find something to work on his own and bad habits and poor relations between you and the dog will develop. Start your pup on obedience training shortly after it’s weaned. When I say obedience, I simply mean to teach the pup its name, to come to you when called, and then progress to lie down and stay. This is very simple to do and doesn’t take much time to achieve. The method I use is to snap a 20-30 foot light rope to his collar and let him drag it. First, let him get used to dragging it. When he feels comfortable about it, and as he’s trotting by you exploring and playing like puppies do, just say his name and step on the rope to bring him to a stop. After a few times of doing this, it might be 10 times or maybe 50 times, he will stop and respond to you when he hears his name. When he starts to respond to his name, then reach down, pick up the rope, say “come here” and reel him in to you. Keep doing this until he no longer needs a tug on the rope to make him come. When he does come, give him a pat on the head and a word of praise. It does wonders. Pups sometimes will go through phases where they’ll be a little shy or evasive. If it tries to get away from you under a parked vehicle, a building or the porch it won’t drag in all 30 feet of rope. Just pick up the rope and make it come back out to you. The pup will soon learn that he has to listen. He has no choice in it. As he progresses, in a few days start teaching him to lay down. First, by gently pushing him down as you say, “lay down”. When he begins to understand what you want, then you can step on the rope to get a quicker response from him. The next step would be to put a “stay” command on him. Lay him down, step away and say “stay”. If he moves, and he will, lie him down again and keep repeating. When he is willing to stay, walk around him with your 30-foot rope still on him. Call him to you, let him come part way and lay him down. At the start, don’t make him “stay” too long and gradually increase the time. Remember all this doesn’t have to be done in the first day or two. You’ll have 8 –12 months before he’s ready to go to stock and by that time he should be quite obedient and under good control. These dogs are smart, and some will figure out that when the rope is on, they have to listen and when it’s not on, they can ignore you. If they don’t listen or come when it’s off, put it back on, give the dog a couple of jerks, make him come to you, give him a pet and take it off again. They soon learn that they had better listen with the rope off or they’ll have it put back on and get reprimanded. This technique works on other breeds of dogs, on pet dogs, and older stock dogs as well. I have custom-trained hundreds of dogs, and most of them come to me at about 1–1½ years old and most have a few bad habits. Mainly they don’t listen or come when called. After a few days of lessons on the long rope, the vast majority listen just fine. There is a lot more I would like to say on this subject, but space is limited. 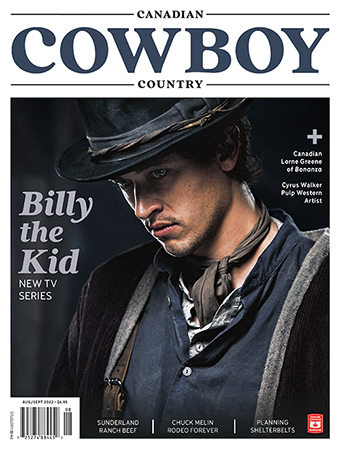 However, if you have any questions, feel free to contact me at: dale@cowboycountrymagazine.com.